My Irken OC's. im pretty proud of how i drew and colored this and im happy that MII CAMERA WORKS YAY!!!!!!!!!!!!!!!. Wallpaper and background images in the Invader Zim FanCharacters club tagged: invader zim invader maz nikki pet zar zav maz zak. OMFG OMFG OMFG OMFG OMFG OMFG!!!!!!!!!!!!!!!!!!!!!! PLEEEEEEASE DRAW SABER!!!! YOU'RE AWESOME!!!!!! PLEASEPLEASEPLEASEPLEASEPLEASE!!!!!!!!! THANKS! 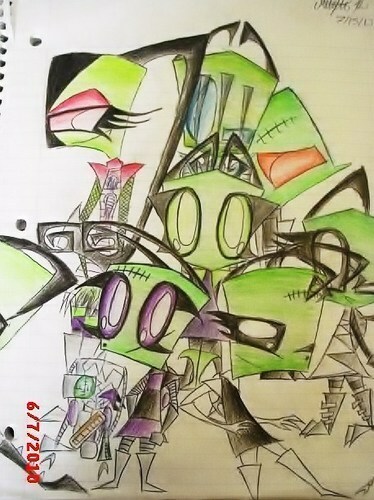 UR AWESOME TO I LUV UR DRAWINGS!!!!!!! ill try to draw saber and post it today CAN I COLOR IT?????? CUZ I LIKE COLLORING!!!!!!!!! COLORS R SO COLOR FUL!!! DO WHATEVER YOU WANT WITH IT, YOU'RE THE ARTIST!!!! WHO IS AWESOME!!! Awww thankers!!! BUT YOU'RE BETTER!!!!!! NP!!!! but seriously UR AWESOME TO!!!!!!!!!!!!!! XD NESS!!!!!!! YAY FOR NESS!!!!! HOLY F!!!! thats so good i think i just sh*t myself! I am pleased to inform you that this pic is the 'effing BOMB!!!!! SURE!!! i can draw rubii!!!! AND THANKS!!!!!! !